We offer a full breaking and schooling service with our highly qualified staff. 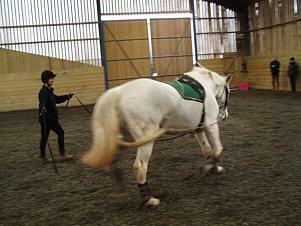 We specialise in nervous horses and are happy to take them untouched. We also will help with any training problems i.e. schooling, loading, or even just leading.